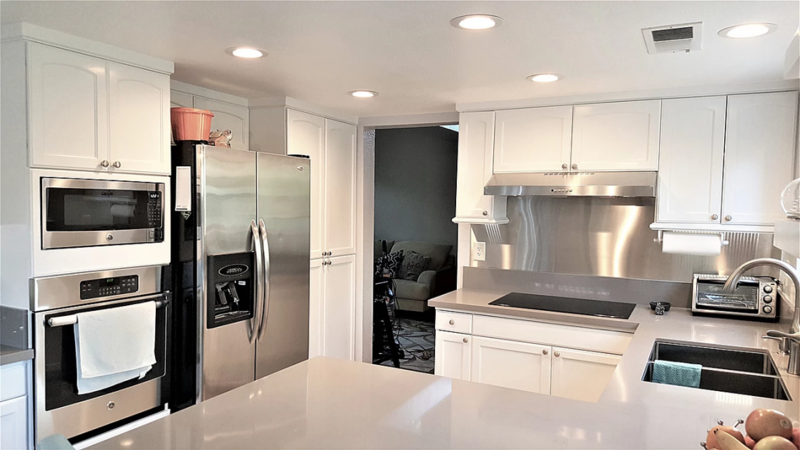 Beautiful kitchen remodel with refinished cabinets painted in white. 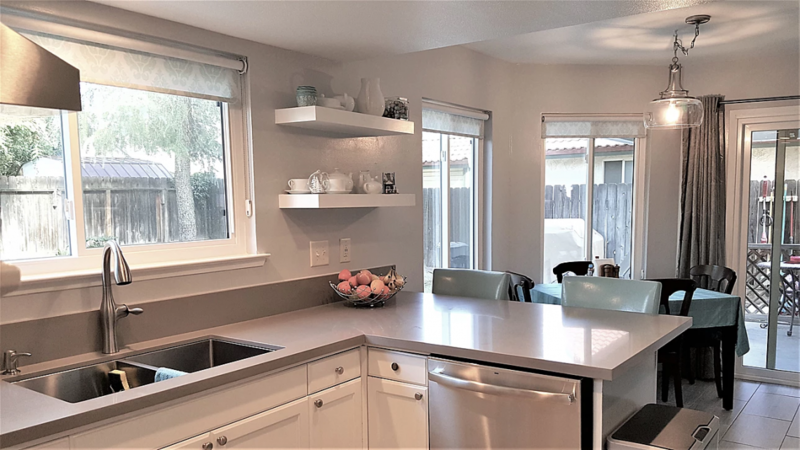 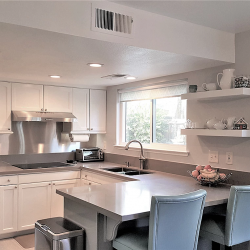 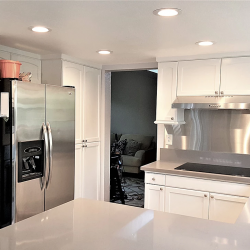 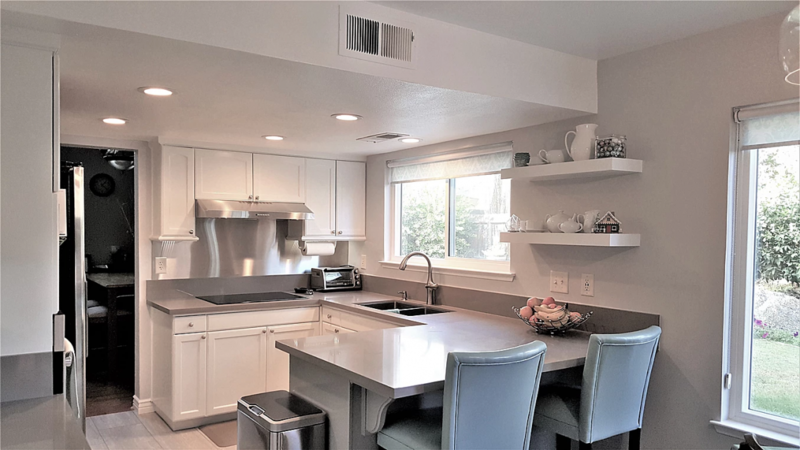 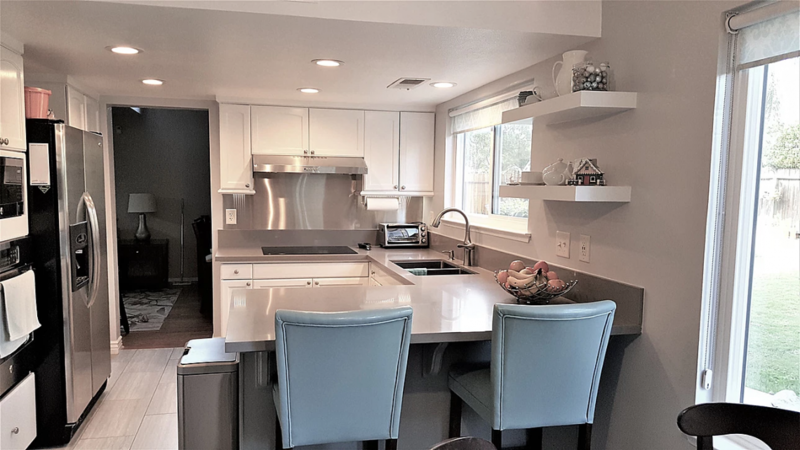 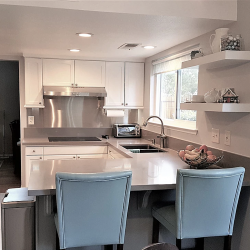 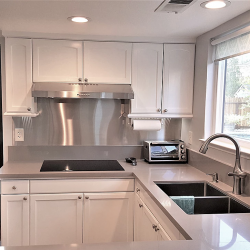 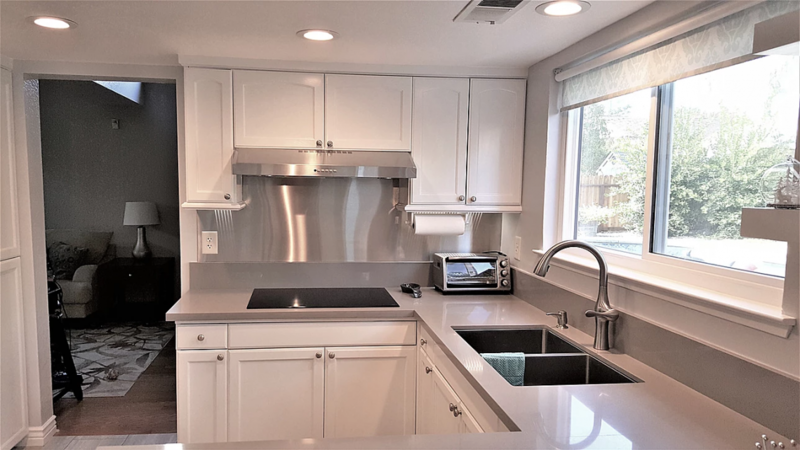 We installed pre-fab French Grey Quartz countertops, stainless steel backsplash and a double basin stainless steel undermount sink with a Kohler Alma stainless steel pull down kitchen faucet. 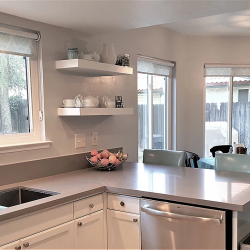 We installed custom floating shelves in white and painted the kitchen to finish the space.